Jailbreak tweaks and apps fall into two different categories – there are some that are designed to make our lives easier by removing obstacles that Apple has placed in our way, and there are those that add increased functionality that, for some reason, Apple has deemed unnecessary. Well, actually, there are three categories for jailbreak tweaks and apps for fall into, with the third encompassing both categories listed above. One such jailbreak app is Appfront. When Apple brought the App Store to life back when iOS was still in its infancy, the doors were opened wide for thousands upon thousands of apps to be made that would add a new dimension to the iPhone, and some of them even aim at augmenting or even replacing existing apps. 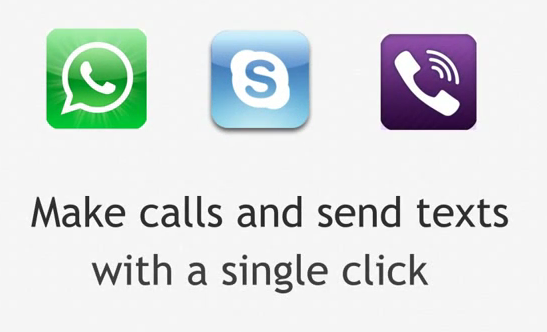 Take Skype, Viber and WhatsApp for instance. All three apps allow users to make free calls or send free messages, but there is one problem with such things, and that is the complications which can arise from having to use three separate apps to do things that we are doing day in, day out. What if we could tie all three apps into one place, and make them act just as if they were the built-in iOS apps that we are all so familiar with? That is where Appfront comes in. 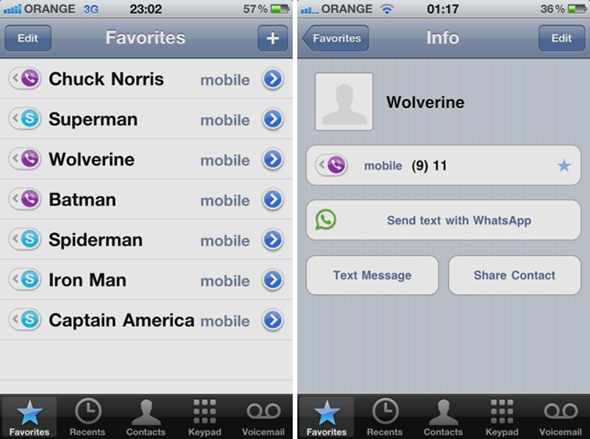 By tying Skype, Viber and WhatsApp into one interface the app allows users to have one point of call for all their communications needs. Just check out the embedded video and you will soon get the idea. Appfront is available for download via Cydia right now for $1.99. There is one caveat though – Appfront is currently not compatible with iOS 5, meaning you’ll need to forgo certain things if you want to use the app. Its developer does say that an iOS 5-compatible release is on its way, however.